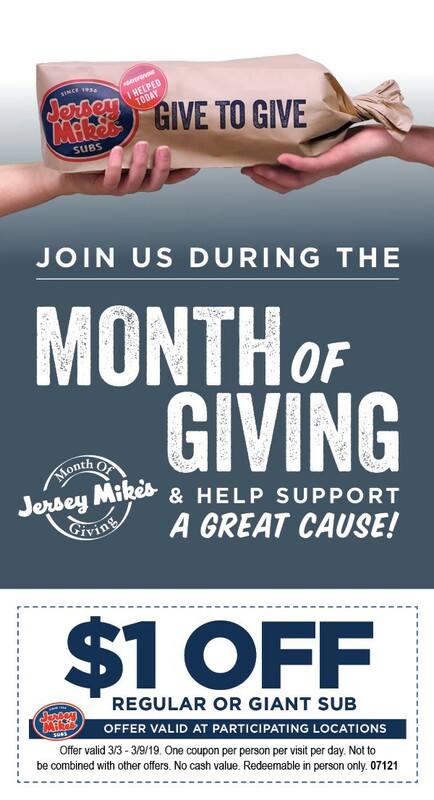 Jersey Mike’s Day of Giving will be on March 27, 2019. This day, Jersey Mike’s will donate 100 PERCENT of sales to Big Brothers Big Sisters of Northern Nevada. This is a day where 100% of sales, company-wide, is donated to local organizations that strive to positively impact children in our communities. Thanks to Jersey Mike’s Reno/Sparks for choosing our organization to partner with.